When I took on my first allotment garden 10 years ago, I had a clear idea of how it would look. I’m not talking about the crop plan, I mean the style and layout of the plot. It did not include raised beds. My grandfather was a market gardener. When he retired he was unwilling to let the veg growing slip away, so he turned the garden of their 1950s semi-detached into a large vegetable patch. Despite having no interest in growing fruit and vegetables as a child, I have a vivid memory of this garden. My brother, cousins and I played hide and seek amongst the neat rows of vegetables on the Sundays we visited my grandparents for lunch. My grandfather also paid us to catch the Pieris rapae (small white) butterflies that laid their eggs on his cabbages and whose caterpillars would decimate the crop. I refused to do this to these creatures even then. Years later, when the passion for growing my own vegetables took hold, I think the image of my grandfather’s garden was embedded in the nostalgic part of my mind. I couldn’t see a vegetable garden any other way and so it was how the allotment had to be. When I began my current plot, everything changed. The first winter on the allotment was a washout. After a few days of heavy rain, I returned to the plot and the sight of the garden drained me of all hope. The allotment was a pond. Raised beds on the allotment came from necessity. If I was to turn this plot of land into a productive kitchen garden I had to manage the matter of flooding. The water table in winter is near the surface of the land that houses our allotment site. A heavy downpour of rain during this season saturates the ground quickly and few plots escape the flood. Those who have worked this land for a time have adjusted their growing areas accordingly by raising the beds in which the crops grow. I knew I had to do the same. I’ve come to terms with having an allotment garden that doesn’t meet my initial design aspirations. In fact, I’ve realised the benefits of raised bed gardening. Raised beds offer a sense of structure and order although you can still be creative in the design by varying the shape and size of each bed. I actually find the raised beds look rather attractive. Raised beds have eradicated the problems caused by flooding on my allotment. Even if your situation isn’t as extreme, raising the beds even six inches will improve drainage and warm the soil quickly in the spring too. You don’t need big beds. Most of mine are just 4 feet wide by 10 feet long. This makes managing the crops within the bed much easier and you should never have to step on the precious soil. If you don’t have an allotment, a raised bed is perfect in whatever space you can afford. You’ll be surprised how many crops can be grown in a single bed in a year. As I garden using no-dig methods, the raised beds compliment this practice too. It’s very straightforward. Once a year I mulch with compost on the areas in which the crops grow and cover empty beds with permeable weed membrane until sowing time. Having created fixed paths, the maintenance of the plot is much simpler too. The work to construct the raised beds on my allotment was intense as I also dug out all the paths down to a foot. The reward of doing so was the soil from the paths provided the matter to raise the growing areas and backfilling the paths with woodchips also created drainage to provide more resistance against flooding. Even If it’s isn’t necessary for you to do the same on your allotment, I understand that the initial work involved in building raised beds might seem intimidating. However, it’s really not that difficult. Mark out the beds on level ground, measure and cut the timber and screw the sides together in their final position. If you want to increase the depth of the beds, add another level of timber. You can be as particular about doing this as you wish. One factor that discourages building raised beds is the cost of materials. Particularly timber. The truth is, you don’t actually need permanent sides to your raised beds. You can simply build mounds of earth as Raf did on his fantastically productive kitchen garden. I have fixed frames around my beds and although I initially bought timber to create the first of the raised beds on my allotment, I’ve spent very little since. I’m lucky to have a plot on a site that comprises of a group of people who want to work together and make allotment gardening as easy and enjoyable for all tenants. Last year we discovered a local company that was happy to give us their used pallets. Every few weeks we hook a trailer to a car and collect as many pallets as we can carry. It’s an incredible resource of free timber and if you haven’t already, I recommend you ask around and see if you are able to do the same. The cooperation doesn’t end there. When we return with the pallets we work together to break them up and create useable reclaimed timber that plot holders can use to build raised beds or compost bins. Hell, you could even build a shed! If you haven’t considered raised beds on your allotment before, maybe revisit the idea. If you already do the same with reclaimed pallets, I’d love to see your creativity with the timber. Either leave me a comment below or share some of your photos on my Facebook page or tweet me on twitter. 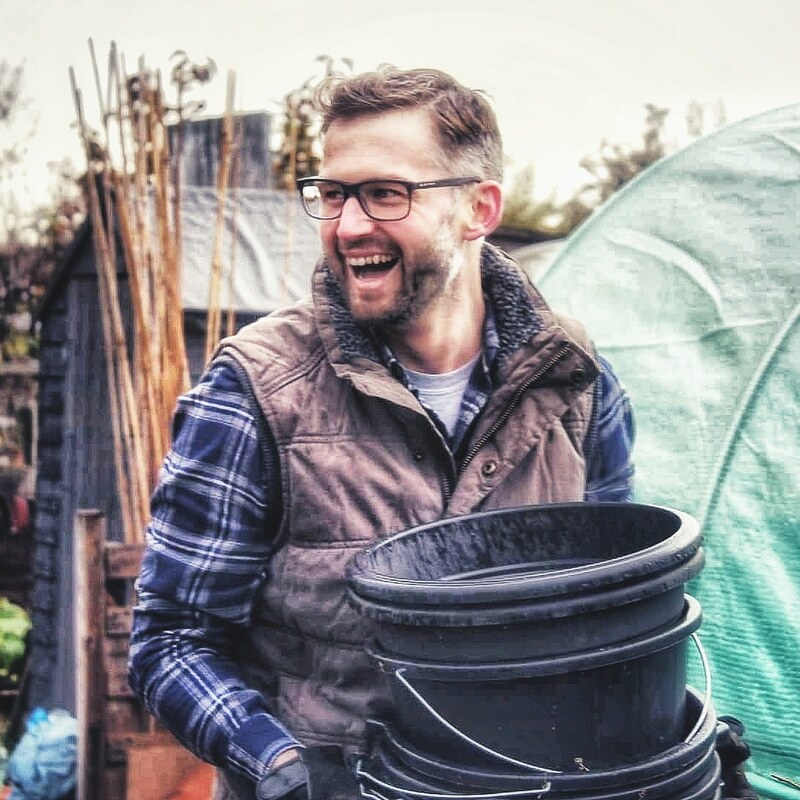 Next Allotment gardening and the importance of other people’s stories. I dislike them too, but sometimes they are useful. I still do not have them, but my garden has serious terraces up a hillside that may as well be raised beds. I’m not saying I would have them if I didn’t need to. But they have saved the plot from being a waterlogged unproductive plot of land. And they have grown on me as they work so well. Oh yes, I totally get it. We grow field grown rhododendrons on ‘volcanoes’, which are just conical little mounds, in order to use an almost marshy area that gets saturated in winter. It is how we use an otherwise useless area, and it makes it easier to dig them when the time comes. The roots do not go down into the soil! Raised beds are such a powerful tool in gardening, so it’s great to see another gardener promoting their use and in an affordable way! Really pleased you enjoyed the post. I have plenty more to make. They saved the day with regard waterlogging. It’s such a success. Why wouldn’t you like raised beds? I love the look of them! I’d rather not have raised beds either, but it’s a case of needs must where I am. I’ve gone for the mounded beds on my second plot, which is only awkward when I need to get the couch grass and bindweed out. Am hoping that all the extra material I’m putting in, plus a French drain, could mean I go back to traditional allotmenteering when the boards have rotted. I originally disliked them too. But wouldn’t do it differently now. It brings so much more order which makes gardening easier. We’ve made ours from salvaged decking. Very sturdy. I knew the only way I was going to cope with an allotment was to have beds, preferably raised ones, and I knew I was going no dig before I knew about ‘no dig’. I don’t think I could fit more plants on the plot if I didn’t have beds and it’s much easier to look after and organise this way. Mind you, I can always think of something I need to do or change on the plot!